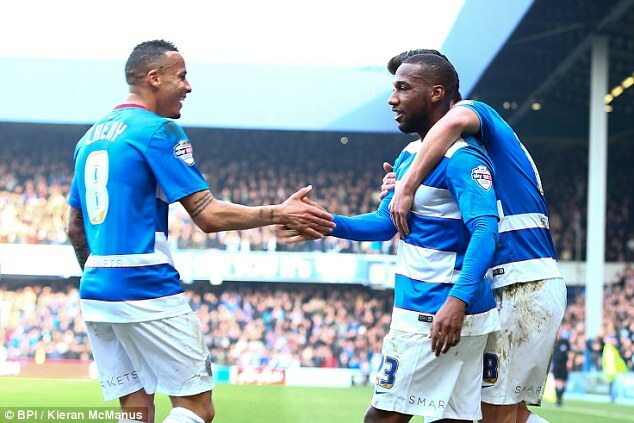 Goals from Junior Hoilett, Sebastian Polter and Tjaronn Chery gave QPR a 3-0 victory over Brentford in the west London derby at Loftus Road. The in-form Hoilett open the scoring seven minutes before half-time when he darted in from the left and curled a right-footed beauty beyond David Button and into the top corner of the net. Hoilett unleashing an unstoppable effort from the edge of the box. Brentford started to edge their way into the game but failed to really test Alex Smithies but as they started to build up a head of steam, QPR provided a sucker punch. Hoilett was allowed too much time and space in the Brentford half and he made them pay as he curled a shot past Button. Brentford were left shellshocked but Ryan Woods nearly got them back on level terms when his speculative effort stuck the outside of the post. 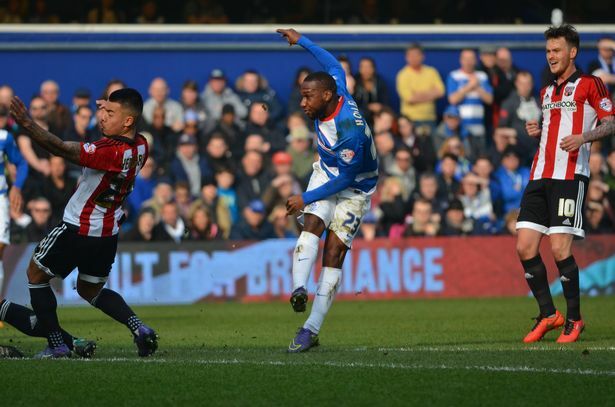 QPR boss Jimmy Floyd Hasselbaink said Junior Hoilett’s superb goal gave his team the perfect platform to beat Brentford in their 3-0 victory at Loftus Road. It was a third consecutive home win for Rangers and vindicated Hasselbaink’s decision to select the same side that beat Derby 2-0 in midweek. The Dutchman explained: “After such a good game on Tuesday, which involved such a lot of energy, it was one to think about: ‘Can those those players we started with do it again in a derby when they’ll need that adrenaline? “I decided to start with the same team and I must say that from minute one, with the great support we had today, we played very well. “We were very well organised, not really in trouble, and we defended well. I’m very happy with the performance.